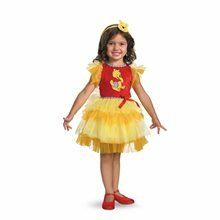 Frilly Winnie The Pooh Toddler Costume.Includes: Dress with plush bodice, petticoat skirt and character headband. Available Size: Toddler - Medium (3T-4T), Toddler - Large (4-6). (See Size Chart For More Information) *Shoes and Accessories Sold Separately.An adorable ballerina inspired Disney Halloween costume. 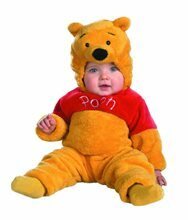 Plush bodice dress with Pooh and his honey pot design. Layered petticoat skirt and Headband with Pooh head also included. Bringing something even sweeter into the Disney costume family. 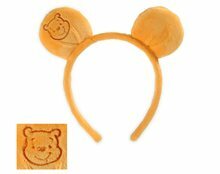 Winnie the Pooh Ears Headband; These Winnie the Pooh ears are made of super-soft velboa and attached to a sturdy headband. Left ear features embroidered Pooh artwork. 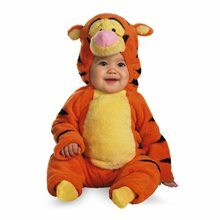 Dress up as your favorite Disney character in this My Friends Tigger & Pooh Tigger Infant costume features orange, black and yellow character bodysuit with character hood and closure snaps along center front & inseams.DISNEY'S MY FRIENDS TIGGER & POOH - Tigger Infant.Age Category - Infants.Brand - My Friends Tigger & Pooh.Character/Theme - Animal & Insect.Product Includes - Bodysuit with character hood, and closure with snaps along center front & inseams.Available Size: Infant (0-6 Months), Toddler (12-18 Months). 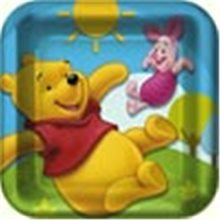 *Socks Not Included.Content - Shell 100% Polyester.Product Care - Hand Wash Cold Separately, Do Not Bleach, Line Dry, Cool Iron If Necessary, Do Not Dry Clean.© Disney Based on the "Winnie the Pooh" works. © A.A. Milne and E. H. Shephard. 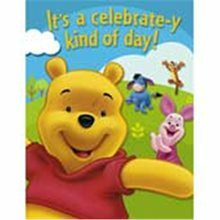 Pooh dangler From the Disney Pooh and Friends Party Supplies Collection. 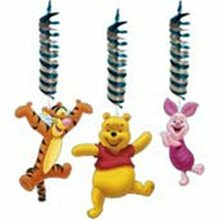 Pooh and Friends Danglers. 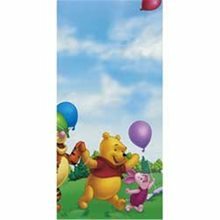 These colorful party themed danglers feature Pooh, Tigger, and Piglet cutouts that hang on colorful twirlers. Includes 3 hanging decorations in each package. 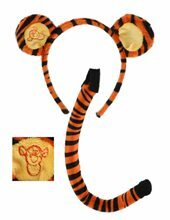 Tigger Ears and Tail Set.Includes: One set of Tigger ears and matching tail.Size: Fits kids and adults.Material: Faux-fur, velboa. 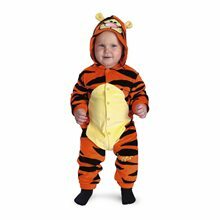 This Tigger Ears and Tail Set is made of faux fur and super-soft velboa. Left ear features embroidered Tigger artwork.Item is officially licensed by Disney. 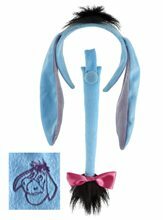 Eeyore Ears and Tail Set.Includes: One set of Eeyore ears and matching tail.Size: Fits kids and adults.Material: Faux-fur, velboa.This Eeyore Ears and Tail Set is made of super-soft velboa. 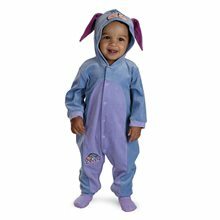 Left ear features embroidered Eeyore artwork.Item is officially licensed by Disney.